CAR President Francois Bozize attends peace talks in Libreville, Gabon. It took three days for the Seleka Coalition and the Government of the Central African Republic (CAR) to reach a peace agreement mediated by the Economic Community of Central African States (ECCAS) in the Gabonese capital Libreville. Unlike most contemporary peace talks where protagonists talk to each other and make time for consultations, in this case, the four Presidents who championed the talks: Idriss Déby of Chad; Dénis Sessou Nguesso of the Republic of Congo; Ali Bongo of Gabon and Teodoro Obiang-Nguema of Equatorial Guinea quickly drafted a peace agreement. Indirect negotiations started on 8 January 2013 and were concluded within two days. On the third day, a peace agreement that had far-reaching political, security and military implications was presented to the parties and signed. In the capital Bangui, the peace deal brought some semblance of normality. However, by mid February, a few weeks after concluding the peace talks, implementation of the agreement is beginning to unravel and an uneasy calm hangs over the capital Bangui. All indications are that a resumption of hostilities is the most likely outcome, unless all the parties to the Libreville January 2013 agreement, their guarantors and the Central African Civil Society re-dedicate their commitment to finding a lasting solution to the political problems in CAR, re-engage in dialogue on outstanding issues and develop a clear implementation plan that includes (i) representation from all sections of the population, (ii) commitment to a longer term peace process and (iii) setting up of an independent monitoring mechanism to track progress and agree on a joint and peaceful path to recovery. Between the 8th and 20th of December 2008, an Inclusive Political Dialogue (IPD) was held in Bangui, capital of the Central African Republic (CAR). The IPD was seen by many as a culmination of efforts to end rebellions in CAR and offered an opportunity for all political forces to agree on the future of the country. The Presidents of Burundi and Gabon offered behind the scenes mediation. While not every issue was tackled to the satisfaction of everyone, the majority of the people in CAR felt that the IPD made a significant contribution towards reducing levels of violence and shaping the long-term reform agenda. The precedent of decision making by dialogue (and consensus), the promised re-integration of the rebels into civilian life, including disarmament and security sector reforms, were seen as concrete steps towards achieving greater stability in the country. The failure of President Francois Bozize to implement the peace agreements led to a resurgence of rebel activities. The latest is the Seleka coalition (meaning “˜alliance’ in Sango, the national language of CAR), which by the end of December had captured twelve towns and were within reach of Bangui. Their advance was only halted because of military and diplomatic pressure from the Economic Community of Central African States (ECCAS). The Seleka coalition is composed principally of four rebel groups: the Union of Democratic Forces for Unity (UFDR); The Convention of Patriots for Justice and Peace (CPJP); The Convention of Patriots for Salvation and Kodro (CPSK), and the Union of Republican Forces (UFR). The UFDR hold the main power and its commander Michel Djotodia, is the leader of Seleka. In mid to late December when the rebel advance intensified, the 400 strong mission for consolidation of Peace in Central Africa Republic (MICOPAX) increased its numbers with 360 troops from the Economic Community of Central Africa States Multinational Force of Central Africa (FOMAC) to protect civilians in Bangui. South Africa sent 400 troops to support president Bozize. The French government refused to support the regime but deployed extra troops, bringing the total presence of the French army to 400, to protect its citizens and economic interests in Bangui. ECCAS hosted peace talks in the Gabonese capital Libreville from 8 -11 January 2013. 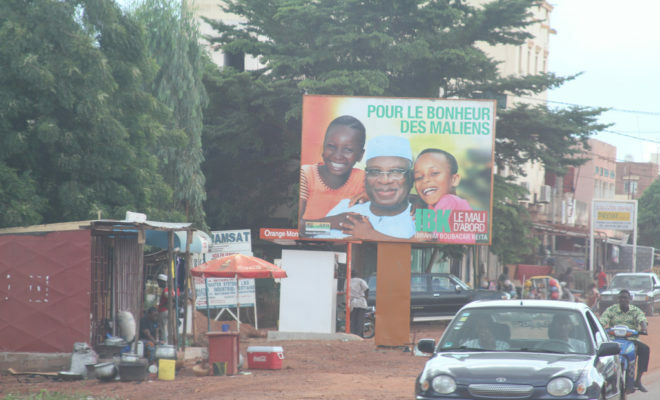 In Bangui, many believe neighbouring countries support the rebellion. This rhetoric was repeatedly used by the regime, perhaps to justify the way in which they have taken advantage of a common fear of “being invaded (…) by hordes of foreigners” (Marchal, 2010). The presence of cross border armed groups, the circulation of weapons – particularly since the fall of Gaddafi – in the region and the porous borders between Chad, CAR and Sudan contribute to the continuum of violence in the North and North-eastern part of the country. While a lot of attention was drawn (and rightly so) to the advance of the rebels toward Bangui and exactions committed in the territories under their control, few reports bought attention to the situation in Bangui. As the rebels approached the capital, the “Kokora”, local vigilante groups took policing and justice in their own hands and began arresting anyone loosely accused of supporting the rebels. A few days before the start of the peace talks, President Bozize invited youth representatives, women’s groups, national NGOs, members of parliament and civil servants to select “˜civil society’ representatives to attend the peace talks. The timing of it, just a few days before the talks, the few places available, in addition to the media attention, triggered competition and division amongst civil society organisations. Finally, President Bozize chose some of his trusted lieutenants to attend the talks as civil society representatives. Most NGOs declined the offer. Prior to the talks in Libreville, a number of high profile delegations visited Bangui – including the African Union and ECCAS – to hold discussions with President Bozize. What was clear by then was that Bozize was militarily, politically and economically weak. He only controlled areas in and around the capital Bangui. The Presidents of Chad, Congo Brazzaville and Gabon met in Ndjamena, Chad where it is believed that a deal was struck. Most analysts contend that the leaders of the three neighbouring countries convinced other members of ECCAS that an eventual takeover by Seleka could plunge CAR and the region into instability. This prompted them to send extra troops. The peace talks between the Seleka Coalition and President Bozize were supposed to officially start on 8 January 2013. However, for logistical and other (dis)organisational issues, both delegations did not arrive on time. By January 9th, five delegations from CAR were in Libreville to take part in the peace talks: the presidential majority, the Seleka coalition, the democratic opposition, non-combatants politico-military groups and civil society. The Minister of Foreign Affairs of Congo-Brazzaville and chairman of the contact group, opened the session where Seleka made resignation of President Bozize a pre-condition for any peace talks. In the afternoon, the contact group, composed of four head of States (Gabon, Republic of Congo, Equatorial Guinea and Chad) met each of the delegations. On 10th of January, each group from CAR was asked to present their issues to the contact group and representatives of other governments in the region, UN observers and CAR’s civil society “˜representatives’ (now comprising close aides of President Bozize). Based on the demands from various groups, the ECCAS Ministers of Foreign Affairs drafted a report on the parties’ demands. At that point, marathon behind the scene negotiations started. The contact group met with President Bozize, the Seleka coalition and the other parties to discuss the range of possibilities. Later in the day, the Ministers of Foreign Affairs came up with a summary document of what was to be included in the peace agreement. Experts from ECCAS and the follow up commission of the 2008 Libreville agreement (which by all intents and purposes was defunct, but only re-activated for purposes of negotiations) drafted the first document of the peace agreement. Later in the day, the experts called everybody in the room to explain the content of the peace agreement. After a few modifications, two framework protocols were signed (Ceasefire, Opening of humanitarian corridors). The third protocol added details to the first two. The fourth protocol dealt with the political issues, of which the main elements were the dissolution of the Government and the nomination of a Government of National Unity composed of representatives from the five parties to the peace talks. President Bozize agreed not to run for President after the end of his term (2016), to dissolve parliament and to organise new elections within twelve months. On the security front, MICOPAX – an EU funded peace keeping mission in CAR – will be in charge of monitoring the withdrawal of all foreign armies that are not members of ECCAS, principally the South African contingent. On 11 January, the parties to the talk signed the agreements. The mediators and conflicting parties came to Libreville very reluctantly and for different reasons: The Government came to the talks mainly because they had lost militarily and the rebels were within sixty kilometres of the capital city. Many believed Bangui would have been taken without the intervention of CEEAC and South Africa. The rebels, on the other hand, did not initially want to take part in talks since they were in a position of strength. Besides, Seleka’s coalition members were divided over how to end conflict, lacked a unified chain of command and never had a common political vision for the country. Some individuals within Seleka favoured talks, while others refused. The complexity and internal contradictions of the Seleka Coalition is something the organisation itself is struggling to come to terms with and was certainly far from being clear at the time of the Libreville talks. The talks, however, with emphasis on deadlines (three days of dialogue), drafting agreements, formal and informal mediation initiatives, left little space for this reflection to occur. This created a sense of uncertainty and tension between the different components of the coalition and made the work of the mediators even more complicated. What is clear is that the military wing of Seleka was not accountable to the political wing. This explains why, despite the peace agreement or signing of the ceasefire, some factions continued to capture new territories. The self-interested and insider mediators and guarantors of the peace agreement – the four presidents contact group – had genuine dilemmas and concerns. Contemporary conflicts in this region almost always have a very strong cross-border element. Most armed groups have networks that extend beyond one country and Seleka is no exception. Allowing the Seleka coalition to takeover power would put a regime in place sympathetic to other rebel groups in the region, trigger a period of instability and shift in political alliances, and demonstrate the failure of ECCAS to play a stabilisation role in Central Africa. The style of dialogue adopted angered all groups that came from CAR and had expected to dialogue over key issues that have caused a succession of rebellions in their country: centralised governance, political exclusion; persistent failure to implement previous peace agreements; lack of development prospects, poor public services, and cross border conflict dynamics. Two months after the signature of the peace agreement, all indications are that resumption of hostilities is the most likely outcome. Peace talks are a technical tool. They can contribute to peace when they are part of a long term and inclusive peace process characterised by local and national ownership, political will from the parties and accountability. Regional and international institutions can play a role in creating the environment for dialogue but cannot substitute for an inclusive peace process. There was neither the time nor the interest from ECCAS and the heads of states to open up space for dialogue amongst the various delegations. As one civil society participant declared “we spent the little time we had talking to CEEAC and hardly any time to talk amongst ourselves”. Another participant from the Government delegation added “We were given documents abruptly, for immediate signature, without giving us time to reflect and consult among ourselves”. Central African Republic has a history of power sharing agreements and political dialogue. Indeed various peace agreements have been reached over the last decade. What these dialogues have in common are: power-sharing agreements, promise of demobilisation and reintegration of fighters never fully implemented; and return to violence after a few months. The talks in Libreville achieved exactly that. What is new is that there was no time to negotiate, Libreville reached an agreement without any form of negotiation. Imperfect as it is, signing the peace agreement produced a ceasefire and opened a window of opportunity for dialogue. This is the time to accompany the process, imperfect as it may be, with a long-term vision for the consolidation of peace. Parties to the conflict, regional powers and the Central African Civil Society need to re-dedicate their commitment to finding a lasting solution to the political problems in CAR and re-engage in dialogue on outstanding issues. A clear implementation plan must be developed that includes (i) representation from all sections of the population, (ii) commitment to a longer term peace process from all parties and (iii) the setting up of an independent monitoring mechanism to ensure the peace process responds to people’s needs.